@Grizzler, Nevis is now open from summit to base. Should be pretty decent (though still thin). @Grizzler, There has been snow showers passing through Aviemore all day but I don't think they have reached Glencoe or Nevis Range but the Lecht will have got them in fact the road is closed again, that is certainly the best place to go at the moment, it really depends on how desperate you are. @boisdevie, You managed to escape from the Lecht OK, sounds as though you had a good time. Time to keep an eye on the weather forecast and get up there as soon as we can, then. Lecht will do, though not the quickest drive; haven't been there for ages. Anything with decent white stuff and a few reasonable runs will do. It's looking like I might be poorly later in the week so I'm thinking of heading to Glencoe and Nevis range for some fresh air, let's hope the snow arrives and not the rain and wind. Looks like rain later in the week. @notverygoodatskiing, I'd keep an eye on the forecasts as maybe very windy this week but also fresh snow around! 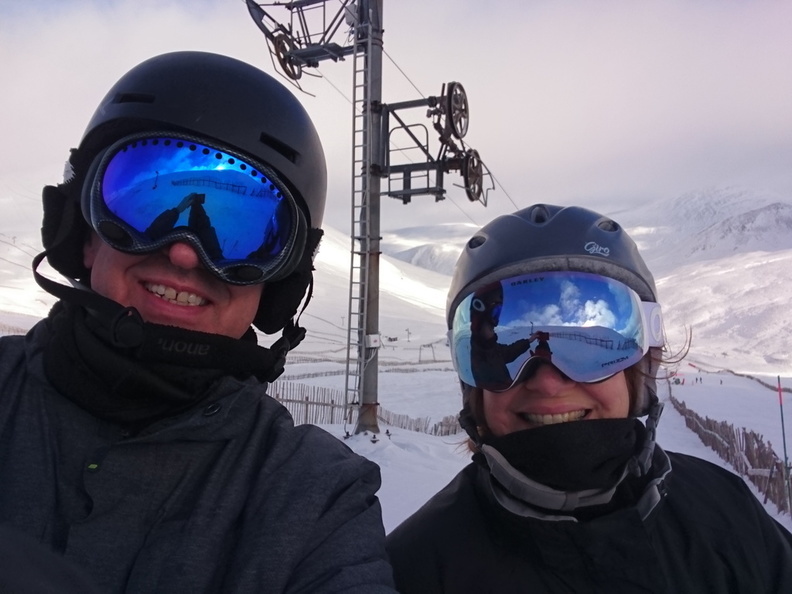 @notverygoodatskiing, keep an eye on Glencoe twitter @glencoemountain , they are on daily at the moment and pretty nailed on about current and upcoming conditions. Remember half term starts on Friday the 8th. We drove up to Glenshee yesterday for a few hours. We should do it more often really as it only took an hour and a half and a gallon of diesel. It was quiet but there were only two runs open, coverage looked complete on quite a few other runs but they remained closed due to staff levels or probably demand. Anyway I think they will open up more next weekend. Tickets were £20 each for the day. The beginner areas were busy with what looked like school outings, no queues to speak of at Butcharts or Claybokie. The snow on the open runs was hard packed and thin in a couple of places despite the overnight snow, but not much ice if any. There was lots of opportunity for op but the what looked like nice soft pow had a hard crust that made it tricky to turn on, not many riders ventured into it but perhaps there were some good stashes somewhere if you trecked a bit. View up from the ticket office and our 8s. From the top of Claybokie. From half way up Butcharts. Was a bit chili in the wind but not too bad overall, fine for a few hours fun. Cheers all, we'll be up Thursday and with the look of wind and possible rain it'll be what it'll be and it'll keep the weekend/half term crowds away, but as I've found in the past the weather forecast isn't exactly reliable, especially for the highlands, I've had forecast snow turn to sunshine so I'm not worried. Anything other than being at work is a bonus for me. @notverygoodatskiing, that MWIS forecast I linked to higher up is normally pretty decent and it gets more detailed the night before, you can often find one of the areas with less wind/precipitation than the others, so keep your plans flexible and have fun!! @notverygoodatskiing, hope you have fun. We were going to go but reckon the wind forecast isn't good; hope you prove us wrong. All I can say is that our boys start on the 8th & return on the 19th (state school; the private schools tend to follow the English holidays). Yes, some areas do seem to have shorter holidays. @Grizzler, In Scotland October is when they have a two week holiday, in February most areas only have a long weekend but some regions add on in service days which means that this year Highland are closed 18,19,20th February, Perth and Kinross are 13,14,15th February, Aberdeenshire 11,12,13th February, not sure which region Glencoe come under, hope that helps. @larry1950, b]@McKenzie[/b], thanks. Yes, that agrees with the confused picture which Google gave me. OH and son were skiing at Cairngorm today and had a great time, M1 poma is open although you have to walk a short distance to it from the car park tow, the way back via the traverse, 105 and zig zags is good, the M1 run is good down to the crossover to the Cas, the snow is very good but Cas still needs more snow, the lower slopes are really good, storms forecast for the next few days so anyone thinking of going up needs to check the website or check Cairngorms facebook page. Great time at Glencoe yesterday, we arrived fairly late in the day so stuck to sledging with my daughter and she had a brilliant time. As expected the lifts are shut here and Nevis range and will likely stay shut tomorrow. Will it all have melted off by the end of this week.. Through mid-week increasingly long fetch SW winds will be spilling around a high to the SE of England. It looks like being pretty much the worst of both worlds, high not close enough to give light winds and dry air that would minimise effect on snow, instead at times Gale Force SW winds or stronger, plus damp and drizzly driech muck for at least a couple of days on the West Coast before things dry out. Temperatures rising progressively through mid-week. Beyond significant uncertainty, but there is going to be a significant and sustained thaw this week and wind speeds will severely constrain or prevent uplift operation. There had been about 10cm fresh overnight. Car Prk T bar, M1 Poma, rope tow and Sunkid all open. West Wall poma opened as well later on with nice snow. 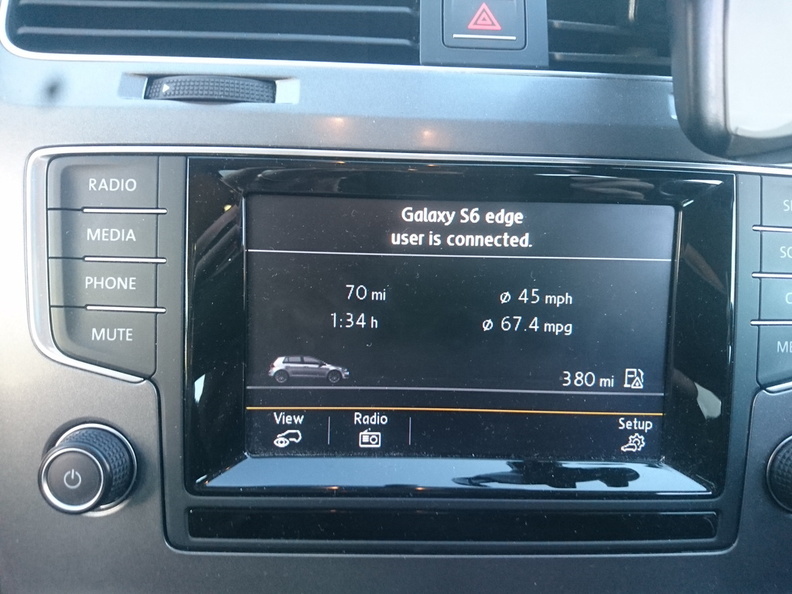 M1, zig zags etc all nice and complete. White lady lovely first thing on fresh snow, few sharks to avoid. Pretty rammed at beginner area and very much minimal conditions. Wet and windy today, 10 degrees. Just ran over Meal a Buachaille and snow all but gone. Looks like Scotland's worst season in living memory. Nothing from Nov to Jan, a dribble in Feb, and closed by Mar. @Whitegold, You actually know nothing at all do you? 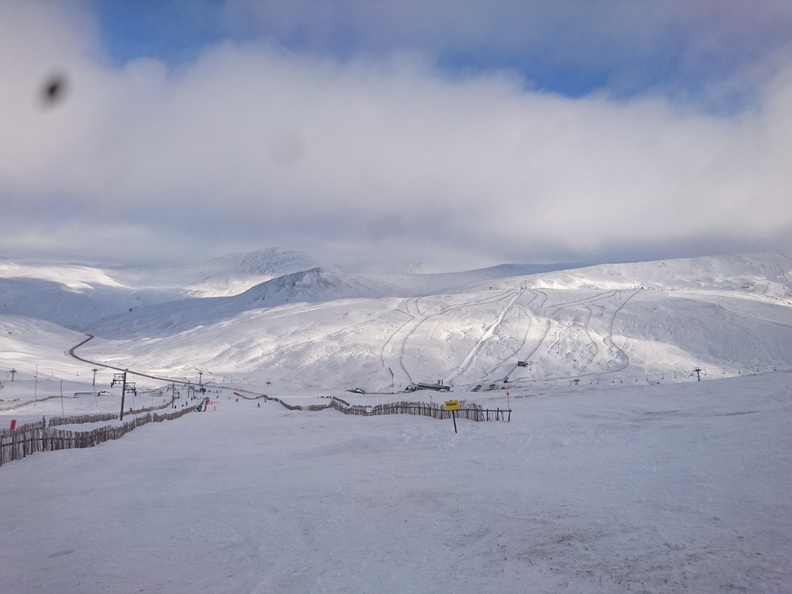 Have you even (ever) skied in Scotland? I seriously doubt you have any knowledge at all of previous winters here. 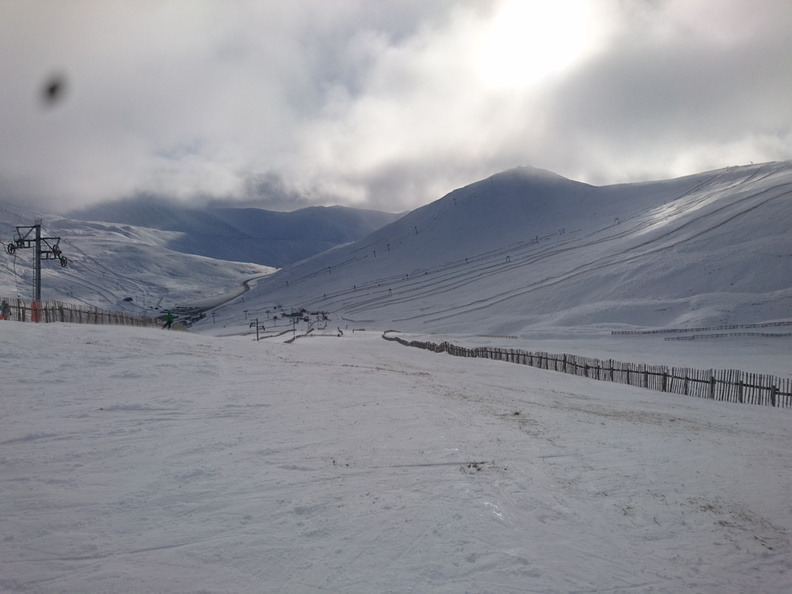 Season 16/17 will not be difficult to beat, Glenshee had only 15 open days that season, they must be close to that now. One more dump and they will easily beat that. Set to be double figures above the tops next week with heavy rain so not looking good for the base building. It is frustrating watching the various feeds finally getting a decent cover then the temps all go up. I still have my pass for Glencoe from last year clipped to my pocket zipper.... 18th march. So plenty of time yet. Keep the faith! I'm going to have to take the boys to Braehead this week instead. Poo too. 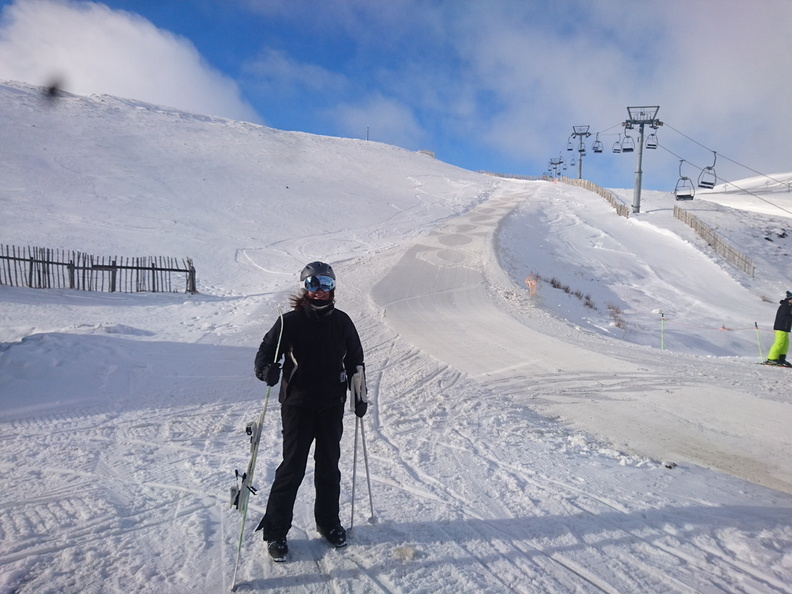 March 2012 had NO lifts turning at all in Scotland as all the snow disappeared - but it then returned for skiing in April. Glencoe are saying probably the last day until they get more snow, Nevis say not enough for snowsports, Glenshee and CG have only very limited beginners areas open... Lecht says "good snow cover" - but due to bridge works, I think us southerners have to drive all the way up to Grandown and back down to get to it. What a difference from last year, especially for the west. And not entirely, somehow, unexpected. @Grizzler, and anyone planning to drive north of Perth, they have started work on the A9 dualling between Luncarty and Dunkeld, so far no problems but the road is going to be closed for 4 nights from Friday 22nd February 8.30pm to 6.00am.